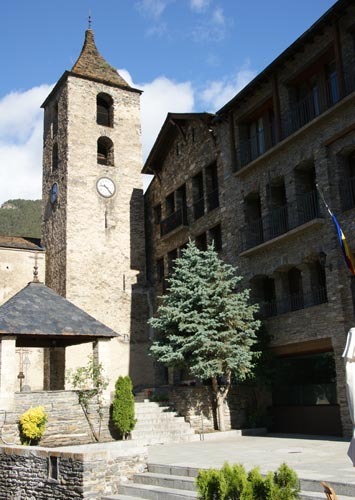 Discover the Iglesia de Sant Corneli y Sant Cebrià Church in Ordino, Andorra. 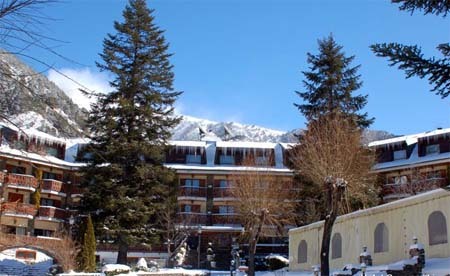 The Iglesia de Sant Corneli y Sant Cebrià Church is located in the town of Sant Corneli y Sant Cebrià de Ordino in the parish of Ordino, in the Principality of Andorra. The construction of Iglesia de Sant Corneli y Sant Cebrià Church dates back to the Medieval era, and it was considerably remodeled between the 17th and 19th centuries. On its interior you will find a Romanesque carving of La Mare de Deu in polychromed wood, which design is meant to date back to the end of the 11th or the beginning of the 12th century. This Virgin is one of the smallest figures in the principality of Andorra, since it is only 44 centimetres high. On its interior you will also find five baroque reredos (17th and 18th century), dedicated to Sant Corneli y Sant Cebrià. It is interesting to know that all the bars in the church date back between the 17th and 19th centuries, all made in the forges of Ordino, property of the most influential families in the population. Outside, you will find a small shelter in the square, used as protection from storms during ceremonies. 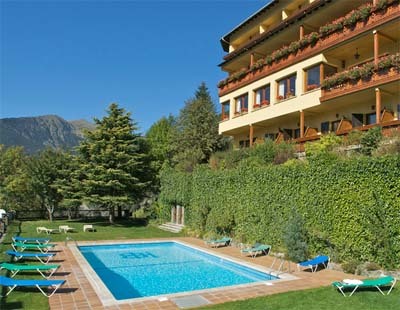 If you visit this place it is highly recommendable that you have a walk in the old town of Ordino. 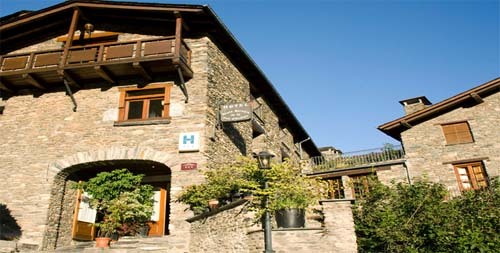 There, you will find several interesting museums, such as the Casa de Areny-Plandolit, a great example of a manor house in the valleys of Andorra; or the Postal Museum, where you can discover an amazing collection of stamps from Andorra. 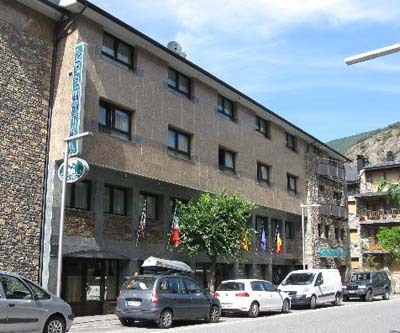 Calle Major s/n, Sant Corneli y Sant Cebrià de Ordino, Ordino, Andorra. During July and August opens from Tuesdays to Sundays from 9:30 to 13:30 and from 15:30 to 18:30.